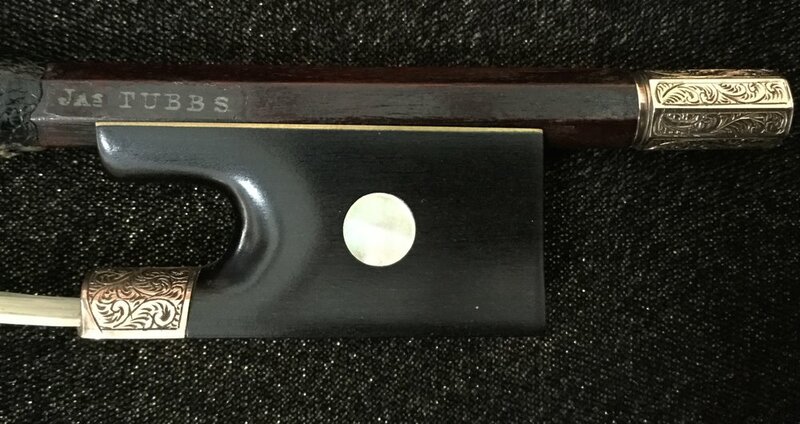 Violin bow by James Tubbs with chased gold frog, button and tip. Magnificent playing bow, pulls a beautiful tone, good strength in the stick. A rare treasure.